MalCare Security and Firewall – The Right Security Plugin for Your Site? Guaranteeing security on your WordPress website is something you should always keep in mind. With many security plugins out there, we want to help you find the better fit for your website. In the past, we’ve already provided you with reviews of the Sucuri and the Wordfence plugins. This time, we’re going to take a look at the MalCare Security plugin. 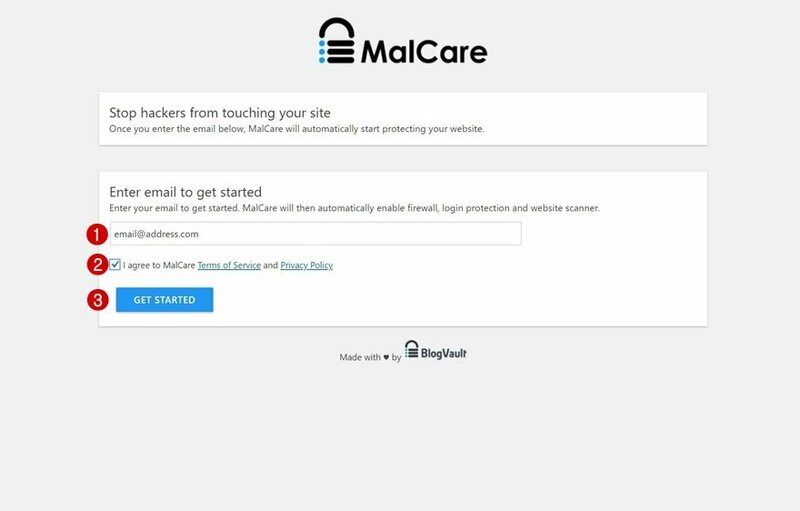 MalCare is a one-click security solution for your website. This security plugin has both a free and premium version. Both versions focus on making the experience as easy and straight-forward as possible. In this post, we’ll discuss the free version of the MalCare plugin. We’ll show you how to set it up and what you can expect from it. Although it doesn’t offer features such as backups, it does offer you the possibility to scan for malware and keep track of your firewall and login protection logs. After going through the setup, we’ll discuss the user-friendliness of this plugin which will help you figure out whether or not the MalCare security plugin is a good fit for your website. To install the free version of the MalCare security plugin, go to your Plugins > Add New > Search for the MalCare Security plugin. Once you find the plugin, click on the ‘Install Now’ button. Once you’ve installed the plugin, make sure you activate it right away so you can start using its features. After installing the plugin and activating it, the plugin will lead you to an activation page where you have to add your email address to get started. Once the setup is completed, you will automatically be redirected to the plugin’s dashboard. You’ll notice a welcome message saying all three free features are enabled on your website. From that point on, you will be able to scan your website for malware and be up to date with firewall and login protection logs. Once you exit the dashboard redirect, you can always go back to the MalCare dashboard by going to your WordPress dashboard > MalCare > Visit Dashboard. This plugin is daily and automatically keeping track of the activity on your website. The only thing you’ll need to perform manually is the malware scan. You can scan your website for malware at any time. After it’s done scanning your files, it tells you whether or not your site is clean and/or if you any hacked files. It also shows you the last time you’ve scanned which helps you keep track of how often you perform a malware scan on your website. 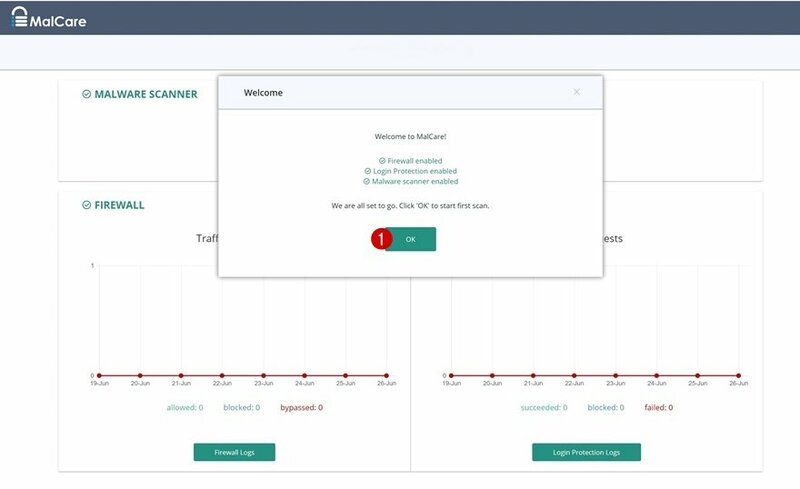 The Malware Scanner reduces chances of your website getting blacklisted by detecting the most complicated malware at an early stage. They use more than 100 signals to investigate your website’s code and make sure no malware escapes. The firewall feature follows up on which visitors should be allowed, blocked or bypassed on your website. 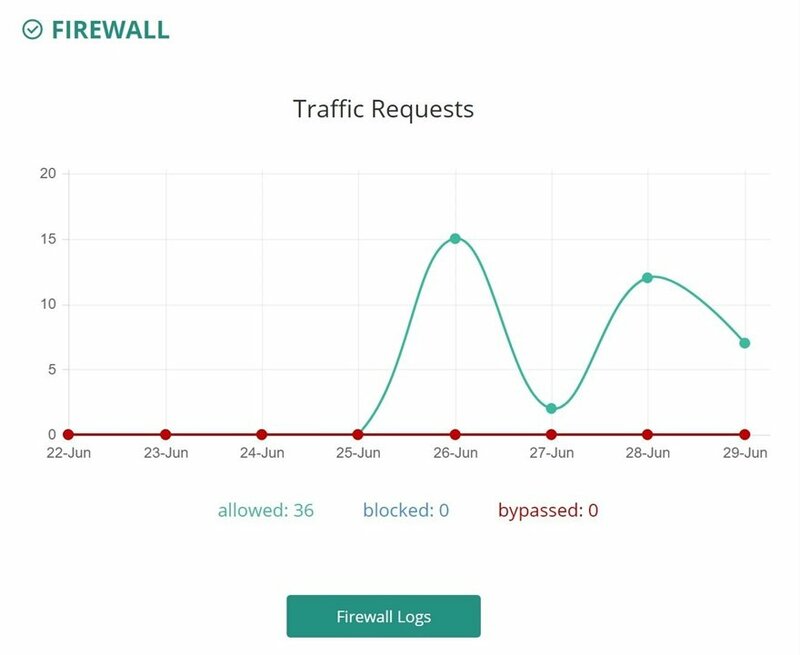 The data is updated on a daily and if you click on the ‘Firewall Logs’ button, it will share additional information about the traffic requests such as IP, status, time, method, path, response and user agent. The login protection works the same way the firewall does. It shares all the succeeded, blocked and failed login requests in a graph that is automatically updated to keep you in touch. 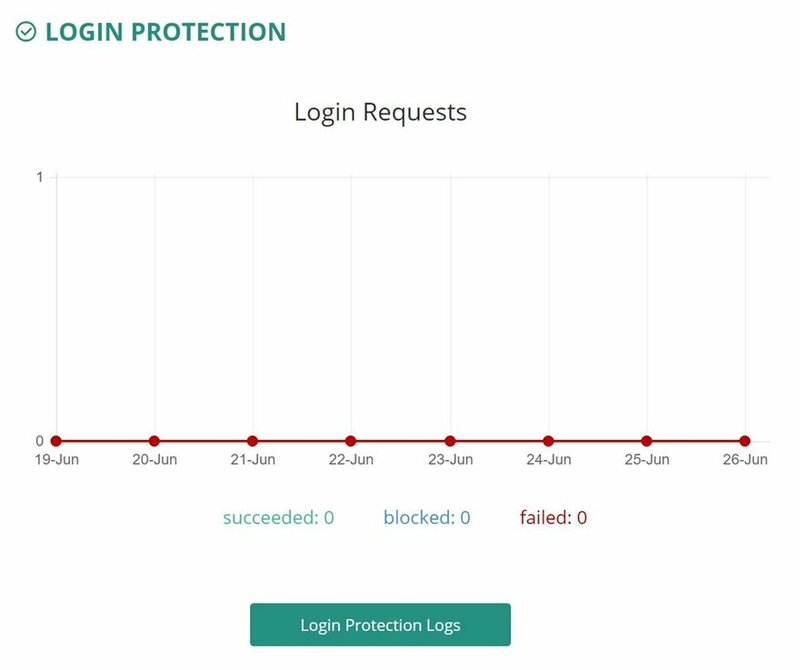 When clicking on the ‘Login Protection Logs,’ you’ll find more information about login requests that have happened in the past. As you can notice in the overview above, the free MalCare Security plugin does offer great features. But what about the user-friendliness? 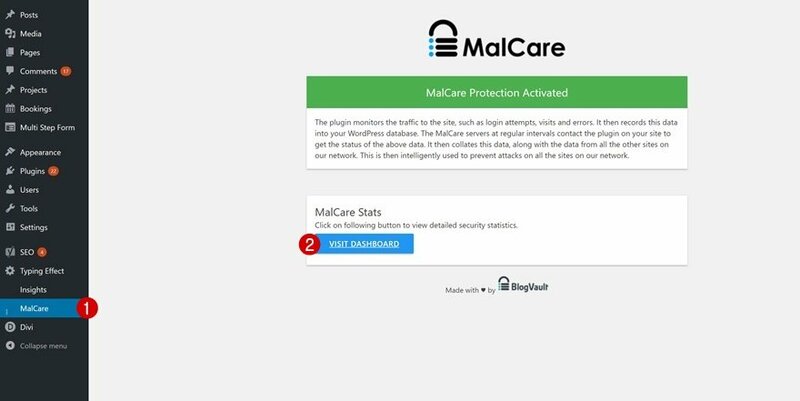 If you’re looking to give your WordPress website the protection it needs regarding logins, firewall and scanning malware, then the free MalCare Security plugin does an excellent job. It automatically keeps track of your logs on a daily basis. The only thing you’ll have to start manually is the malware scan and you can do that at any time and as frequently as you want. The firewall and login protection features are enabled from the moment you link your website to the plugin so there’s no time being wasted. You can also access the logs at any time which makes it easy for you to remain up to date and take matters into own hands if necessary. 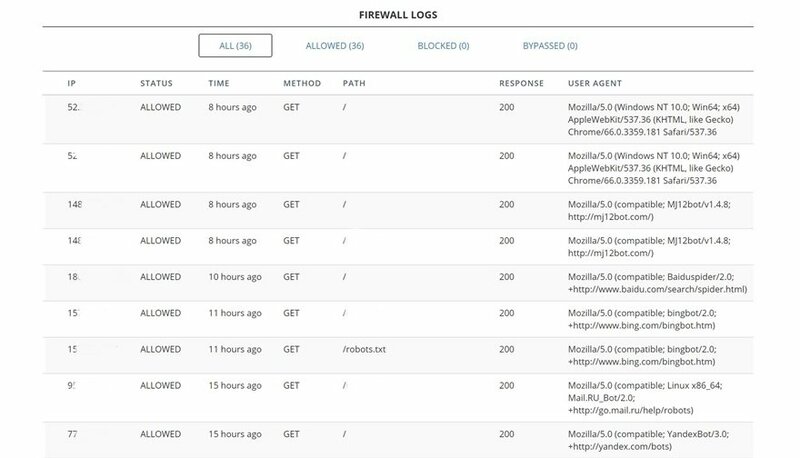 Conclusion: Is the MalCare Security and Firewall the Right Security Plugin for Your Site? If you’re looking for a plugin that gives you peace of mind and does the security job for you, the MalCare security plugin will definitely not fail you. However, if you’re looking for more advanced features such as backup or complete site management, you might consider switching from the free version to the premium version. If we take a look at the free features it offers, we can conclude that the plugin does quite a good job. It keeps track of all data regarding your firewall and login protection. You can access this data at any time and you can also use the malware scanner that focuses on early detection of malware. The post MalCare Security and Firewall – The Right Security Plugin for Your Site? appeared first on Elegant Themes Blog.